For the latest online voice recorder platforms information you can’t go past findakaraoke! Our useful guide is perfect for anyone wanting to sing, record or share their vocal music online. Singing and recording online websites utilise either a desktop PC or mobile device to capture your vocals enabling you to then share the recording using social media or email. Familiarise yourself with the tune and lyrics of the song you wish to record by watching and listening to a Youtube video of the song as well as printing off a copy of the lyrics. Don’t forget you can also practice using an online karaoke website or perhaps go to a live karaoke gig. After a few run-throughs, head over to voice recording websites like Voicespice.com, SpeakPipe, Singsnap, etc; ensuring that your microphone is connected and active. If you require help to set up and configure your microphone, read our guide explaining everything you’ll need to know. 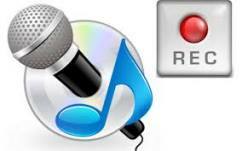 Relax and take a big breathe focussing on the lyrics and press ‘RECORD’ and simply start singing once a dropdown message states you are recording. You’ll know the platform is working correctly if the volume meters move while you record. When you’ve finished the song; simply click the STOP button to cease recording. To save; click on SAVE and add your song title, an author (you) and perhaps add a comment. Afterwards you have the option to share your recording via social media sites including Facebook and Twitter or even email. You may not be aware but a high quality microphone is imperative for producing a superior clear sound. Invest in a decent noise-cancelling microphone. Some great brands for recording on a PC include Plantronics and Sennheiser. A less expensive option offering good quality are CAD, Samson, Snowball and Audio-Technica brands. That’s about it! So go ahead and find some songs you like and have fun recording your very own rendition! It’s a good idea to relax and not worry about getting everything right the first time as with a user friendly online voice recorder website; you can always have another go— or 10! Play Voice Tag! Create a Voice Survey With Your Friends! Invite your friends to record answers vocally using online voice recording platform. Watch as your survey goes viral with friends sharing it online, etc. It's so simple!